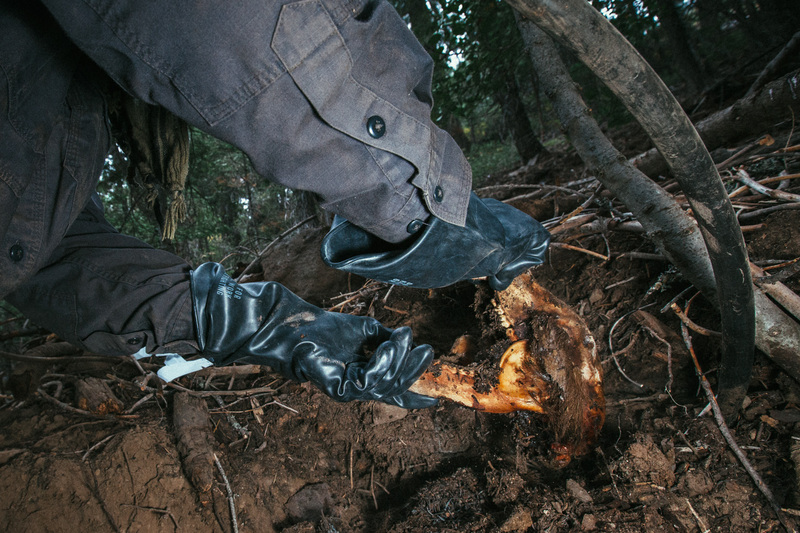 Biologist Mourad Gabriel unearths a black bear skull that had been buried in a grow. Before digging up the bear, reclamation teams didn't know whether they were going to find trash, dead animals or a person. Gabriel will swab the skull for poisons, which were found littered throughout the site.